Memos and documents published by DCLeaks continue shedding light on billionaire globalist George Soros and his progressive organization, Open Society Foundations (OSF). Due to their poor digital curation, however, the leaks are hard to comb through which is leading to the information slowly trickling out. The latest of the documents reveals the billionaire’s attempt to organize a “national movement” to create a federalized police force. 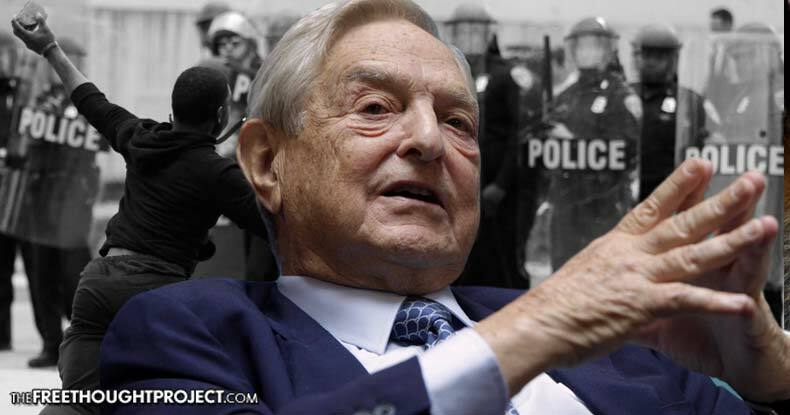 The memo further documents that Soros-financed groups and personalities influenced a Task Force on 21st Century Policing, created by President Obama. Last may, the task force released a final report consisting of 60 recommendations recommending protocol to local departments on how to modify policing practices. The information is from a 61-page report of an Open Society U.S. Programs Board Meeting that took place in New York City in May of last year. The federal government is seeking philanthropic support for a number of its initiatives. In addition to seeking support to advance the implementation of the recommendations of the Presidential Taskforce, the White House recently launched the Policing Data Initiative to explore how best to use data and technology to build trust, voice, and solutions to improve community policing. The Department of Justice recently selected the first six cities to host pilot sites for the National Initiative for Building Community Trust and Justice, which was launched last fall to help repair and strengthen the relationship between law enforcement and the communities they serve by exploring strategies intended to enhance procedural justice, reduce implicit bias, and support racial reconciliation. We are gaining a better understanding of these efforts in order to determine how best USP can use this moment to create a national movement. We have already had a set of preliminary conversations with about a dozen key stakeholders and will undertake a field scan to map the areas of work currently underway to advance police reform, including an assessment of the redundancies and gaps in work, and opportunities for collaboration. As we proceed, we will engage the funder network we helped to establish, the Executive Alliance on Men and Boys of Color, which now includes forty foundations. U.S. Programs (USP) is a part of OSF with the stated mission of working to further a vibrant democratic society in which all people can meaningfully participate in its civic, economic, and political life. According to the above excerpt, USP was thinking of ways to capitalize on police killings to ‘create a national movement’ to implement their agenda. The think tank also raises the question of how to properly steer the ostensible ‘grassroots’ organizations, such as Black Lives Matter, to achieve USP goals. The events of the past several months have understandably led to a wide range of activities, including a variety of advocacy efforts, to respond to the significant challenges in policing that have been exposed and the opportunity to promote meaningful and lasting change. For example, organized under the banner of the Civil Rights Coalition on Police Reform, organizations like the Lawyers’ Committee for Civil Rights Under the Law, LCCHR, and LDF are advocating for federal reform efforts with a particular emphasis on data collection and transparency and, as noted above, 35 effecting federal funding streams. A variety of other national advocacy organizations, including grantees Advancement Project, PolicyLink, the Center for Popular Democracy and the ACLU are working to provide advocates with toolkits and resources to help their organizing efforts. Locally based groups such as the Ohio Student Association, the Organization for Black Struggle, the Asian Law Caucus, and the ACLU of New Jersey, to name a few, are advocating for specific reforms at the city and state levels. Another layer of grassroots and youth-oriented groups like Freedom Side, Ferguson Action, Black Lives Matter and Million Hoodies Movement for Justice are also advocating for specific reforms. The range of efforts underway raises a number of questions and concerns about capacity, the need for coordination and the appropriate prioritization of policy objectives, among others, which we will discuss in the policing portion of the meeting. While the intentions of reforming police in America seem noble, the very idea of a Soros-led initiative is chilling. Another memo, leaked earlier this month, showed the billionaire was potentially funding the Black Lives Matter movement, to the tune of $650,000. Now, as today’s memo shows, we know why. As the Free Thought Project has pointed out many times before, Soros has been exposed literally manipulating the world. Earlier this month, in an email found within the WikiLeaks’ Hillary Clinton archive, with the subject ‘Unrest in Albania,’ Soros makes clear to Clinton that “two things need to be done urgently.” He then directs the Secretary of State to “bring the full weight of the international community to bear on Prime Minister Berisha” and “appoint a senior European official as mediator.” Revealing the influence he wields within the corridors of power, Soros then provides Secretary of State Clinton with three names from which to choose. Unsurprisingly, Clinton acquiesced and chose one of the officials recommended by Soros — Miroslav Lajcak. This is standard operating procedure for Soros. Anyone familiar with the history of the Soros Open Society Foundations in Eastern Europe and around the world since the late 1980s, will know that his supposedly philanthropic “democracy-building” projects in Poland, Russia, or Ukraine in the 1990s allowed Soros the businessman to literally plunder the former communist countries wealth, according to the New Eastern Outlook. Soros-affiliated organizations are deeply connected to numerous color revolutions, such as the Arab Spring, and a number of other uprisings across the world. They have been intimately involved in the coup that took place in Ukraine, and subsequent ratcheting up of Cold War tensions with Russia. 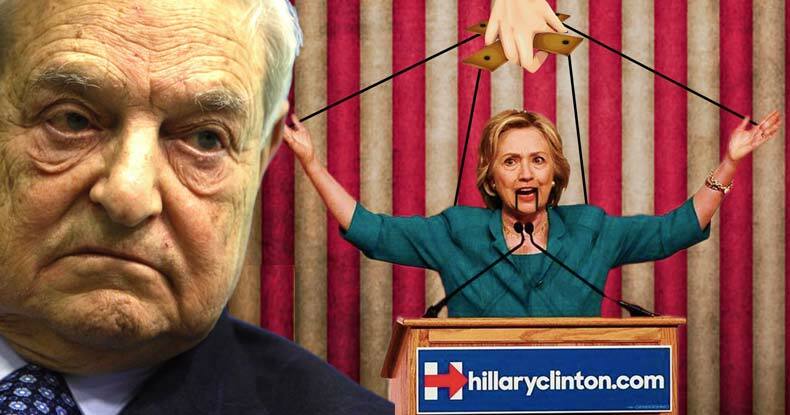 As these leaked memos and emails prove, the United States is nothing more than one of Soros’ pawns. While Americans remain oblivious and argue over straw men fed to them by the mainstream media, the police state is growing — both here and abroad. As the citizens are promised ‘reform’ the only thing that actually changes are the puppets in marble buildings.